Are you moving to a new place and you want to call a professional mover? Whether for a residential, commercial, or turn-key move, our moving partners will provide you with a reliable, professional, and safe relocation. What is a professional mover? When planning a move, the first question should be: do I take care of my move or do I hire a qualified professional mover to handle it? The time factor: have you just sold your house and have little time to devote to the tasks required for your move because of real estate transactions, work, and your daily tasks? Or perhaps, are the new owners taking possession earlier than expected and you need to speed up your big move? Use experienced movers as they can take care of all aspects of your move while you go about your daily tasks. The size of the move: Moving from an apartment can be done easily when there is not much to take with you but moving from bigger homes or relocating from a commercial property can be more difficult. The transport of both heavy or fragile items (home appliances or industrial equipment) necessitates expertise that not everyone has. A professional mover will guarantee the safe transport of your items and personal effects using the required moving equipment (see below). – Box items according to their size, weight, and fragility. – Properly distribute the objects in the boxes carefully to avoid breakage and make transporting them easier. – Move objects requiring special equipment: mattresses, piano, valuable paintings, mirrors, armchairs, appliances, spas, safes, etc. The safety factor: If you try to do the move by yourself, be aware that you are responsible for any « accident » that may happen. If a friend helping you gets injured or something is damaged, your insurance must take care of the problem. The professional moving company has the necessary insurance to compensate you for the theft, breakage, loss, or scratches to your belongings or for accidents. In other words, you are assured of a safe service (both for your belongings and the people transporting them) as well as peace of mind regarding any possible issues. A move can be a great source of stress, hence, the interest in hiring a qualified expert. To ensure the competence and reliability of a mover, it is particularly important to obtain quotes and to check if the moving company is insured. It is also recommended to compare multiple quotes to get the most out of your movers. 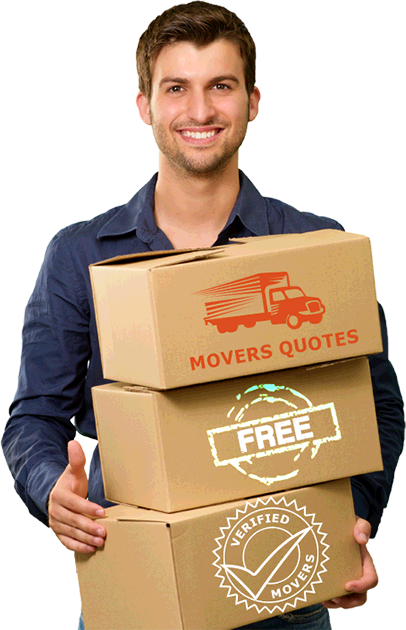 In this regard, 5 Movers Quotes allows you to compare, free of charge, up to 5 quotes from reliable movers in your area quickly. Just fill out the form on this page. Have basic insurance for damage to your belongings in case there is a problem during the move. Have liability insurance of at least $1 Million in case of damage to your home or your neighbor’s property during the move. Finally, find out the terms of compensation for your belongings in case of loss or damage. Professionals possess the experience, skills, and equipment needed in a quality move. Choose a professional to ensure high-quality transport of your valuables! What to expect from a professional move? For more information of the types of moves, consult our section on « moving services ». 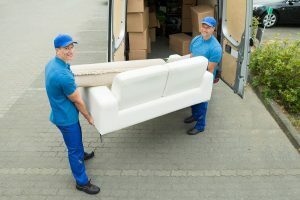 First appointment (depending on the moving companies): a high-quality mover evaluates your needs in terms of transport, discusses the moving conditions (price, date, etc.) and answers your questions. For economy movers, the process is done by phone. In other words, a turn-key service guarantees a mover that does everything, who answers all of your questions, and leaves you with complete peace of mind! It allows you to save a lot of time and energy! Can one undertake a move by himself? Consider the fuel that you will purchase and the maintenance of the truck (any damage to the rented vehicle is your own responsibility). Depending on the quantity and value of the objects to be moved, hiring a professional can be more economical than you think. How to find the right movers for a professional move? With relatives and friends: if they have already worked with a moving expert for their move, do they recommend the company? For what reasons? On the internet: by searching for the name of the company on search engines, you can find reviews of previous customers. To know if the company has committed an infraction, check with the Office of Consumer Protection. The importance of shopping around: it is important to find a moving company that offers the best value for money. Finally, don’t forget the importance of a contract: this assures the quality of your move and gives you peace of mind. It guarantees that all aspects discussed with the movers (delays, date, price, insurance, etc.) are complied with and that the move will be conducted safely (for the employees and your personal belongings). However, the best solution is 5 Movers Quotes. The best way to find movers with skills, expertise, and a high level of reliability is to utilize our online comparison platform. 5 Movers Quotes is a network of reputable movers who can meet your expectations! By filling out the form on this page, you will obtain up to 3 online quotes. In just a few clicks, our service allows you to make contact with a reputable moving company and have an accurate estimate from a moving professional in just a short time.